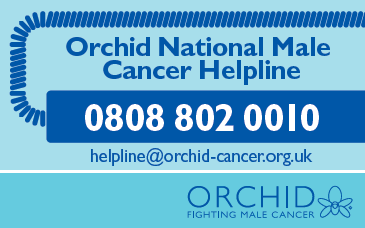 Orchid exists to save men’s lives from testicular, prostate and penile cancers through a range of support services, pioneering research and promoting awareness. Formed in 1996 by former testicular cancer patient, Colin Osborne, Orchid is the only UK registered cancer charity to focus entirely on the male-specific cancers; prostate, penile and testicular. 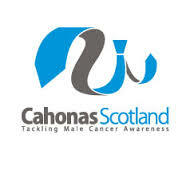 We offer support and information to people affected by or interested in male cancer through a dedicated medical research programme, education and awareness campaigns and a range of support services. Jayanta is a consultant Urologist BHR Hospitals Essex. His Honorary Title of Professor is currently held from the London South Bank University, as their Visiting Professor in Urlogy. Thomas is a Senior Lecturer in Urology Cancer and Honorary Consultant in Medical Oncology. MRC Senior Clinical Fellow. Brian is a doctoral student in Counselling Psychology at City University in London. Brian works in a psychology department in the NHS. Frank is responsible for the Sports and Education Programme at Orchid. Katherine is a Orchid Male Cancer Information Nurse and Senior Research Sister a Barts. *I would like to receive emails from the yourprivates. Your private’s schools pack is designed to raise awareness of testicular cancer and has been accredited by the PSHE Association. It contains an embedded PDF presentation with several informative videos. There is also a Teacher’s Guide and a Quiz. The presentation is designed to run for 15-20 minutes with class discussion. There are also two supplementary slides at the end of the presentation with videos which can be discussed if needed. The aim of the pack is to enable students to identify the risk factors for testicular cancer and be able to perform Testicular Self Examination on a regular basis to check for any possible problems. The ideal age is from 12 years upwards, secondary school pupils. To download the resource pack please click here. Depending on your broadband speed this may take a few minutes. • Open presentation go to view toolbar and select Full Screen Mode – Adobe software will be needed to display the presentation which can then be controlled similar to a Power Point presentation. To exit press ESC key. • You will need to manually click each video to play and close the screen afterwards. We would also like to keep you informed of any future projects that we are undertaking. what is not testicular cancer? what are the risk factors in getting TC? what are the signs and symptoms of TC? what to expect after RPLND? how can testosterone be effected? Ethans Blog A post every three days about me a 21 year old politics student, dealing with testicular cancer two months before I plan to graduate. Ben Taylorson Ben has compiled an extensive and often humorous record of his testicular cancer experience…. what if TC comes back? If you have been affected by any aspect of testicular cancer and wish to tell your own story or provide a self made film clip documenting your experience for our YouTube channel please let us know. If you have been affected by testicular cancer and would like to support other men and their families or know of other local support groups please get in touch.